AUGUSTA – Democratic presidential hopeful U.S. Sen. Bernie Sanders, D-Vt., got a lift in Maine on Tuesday with endorsements from Secretary of State Matthew Dunlap, party godfather and lobbyist Severin Beliveau and a host of legislators. 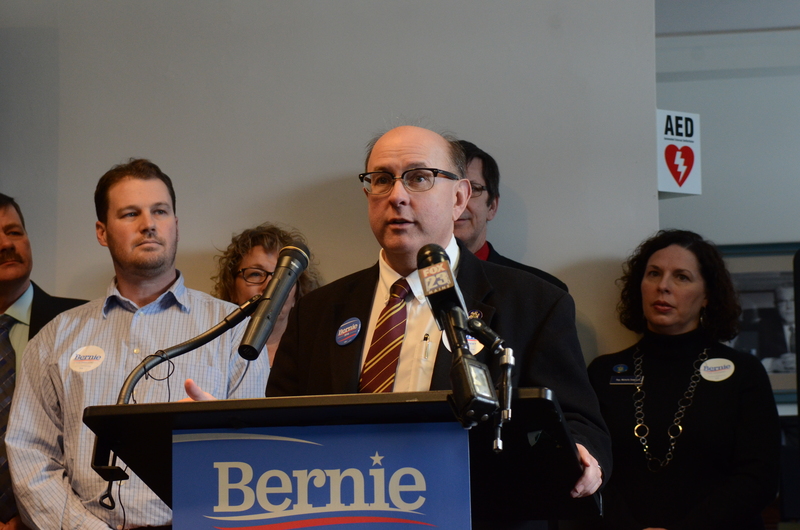 The progressive senator is an underdog in his race against former U.S. Secretary of State Hillary Clinton — who received early endorsements from most of Maine’s big-name Democrats — but a Tuesday news conference in Augusta highlighted significant support from the Maine party’s grassroots. 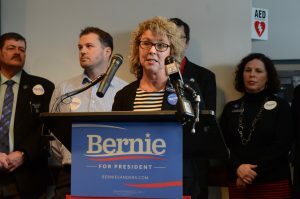 Sanders’ campaign rolled out more than 60 new endorsements Tuesday, including House Majority Leader Jeff McCabe of Skowhegan, former Portland Mayor Michael Brennan, nearly 40 legislators and seven county Democratic committee chairmen. Supporters talked most about Sanders’ populist brand and his focus on income inequality, with Dunlap and McCabe saying the candidate’s policies on trade and taxes could help counteract the effects of mill closures in rural Maine. Clinton is the favorite in national polls, but Sanders is on her heels in Iowa and has widened a lead in New Hampshire, the first two states to choose a nominee in February. He led Clinton in the only Maine poll so far in September, but only within the margin of error. But she has wide leads in the key later states of Nevada and South Carolina, so Sanders needs to win states with white, rural primary bases — such as Iowa, New Hampshire and Maine — to stay competitive. 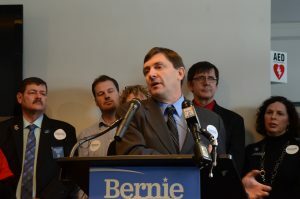 That’s why Sanders’ organization has probably been the most visible in Maine so far: He appeared here in July and his campaign opened a Portland office last week, with former Maine Senate Majority Leader Troy Jackson, D-Allagash, helping whip support for him. The most interesting person on Sanders’ endorsement list may be Beliveau. He has been a key party figure for nearly two generations. While he hosted Bill Clinton at an event at his Hallowell home in 2002, he backed President Barack Obama over Hillary Clinton in 2008. Still, it’ll be a tough road for Sanders, even in Maine: Clinton has been endorsed by top Democrats, including U.S. Rep. Chellie Pingree, Attorney General Janet Mills, House Speaker Mark Eves and Senate Minority Leader Justin Alfond. 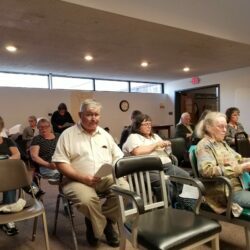 But Jackson said Sanders’ campaign reminded him of President Obama’s in 2008, and he said despite support for party elites, the Vermont senator is creating a buzz among the party faithful.